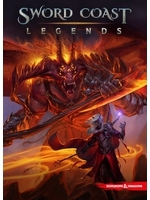 Here is the very first gameplay video for Sword Coast Legends. Game Director Dan Tudge narrates the extract as a group of intrepid adventurers try to find an alternate route into the city of Luskan. They find themselves in a struggle for survival against the undead swarming the city’s slums. I hope this game does not disappoint, seems very good!